What Is Influencer Marketing and Why Should You Care? As marketers, you and I have a tough job. We have to win the attention and interest of those whom we would like to buy from us. We have to persuade them that what we offer will solve a pressing problem. We have to convince them to make the leap from shopper to buyer. And here's the problem: our culture, including the B2B world, is flooded with marketing and advertising messages. The people we want to reach are desperately trying to tune them out. They are even doing this subconsciously. Content marketing was supposed to be the answer to this dilemma. And it can be if done right. But both the B2C and B2B worlds are flooded with content, and much of it is largely ignored. Even so, content marketing can still be a great way for you to win new business. But there are some things you must do. You need to use solid direct response copywriting principles as you write your content. And here's something else to keep in mind: no matter how skilled we are at producing great copy and content, a lot of our potential buyers are going to be skeptical of what we say about us. They are much more likely to believe what others say about us. So make use of the great remarks your customers make about you. Display their testimonials, especially video testimonials, prominently on your website and in your content. And how can you leverage the power of this phenomenon, known as social proof, to an even greater degree? You can enlist the aid of influencers to help you tell your story and win new customers. So what is influencer marketing? Simply put, influencer marketing is the practice of marketing to those who have influence over your target market, who can influence your target market's buying decisions. Because of the power of social proof, influencer marketing can be a very effective way to enjoy a high conversion rate with your target market. But influencer marketing success doesn't happen overnight. And it takes planning and preparation. To successfully employ influencer marketing as a tool to gain new customers, you need to thoroughly understand your target market. Among other things, you need to know who are the influencers – the bloggers, journalists, thought leaders and vendors in markets closely related to yours - they look to. You then need to build relationships with these influencers. But to build these relationships, you don't want to make the mistake so many make – that is, you don't want to start off the relationship by asking them to give you what you want. You want to approach them with an open hand; you want to start the relationship by offering to give something of value to them. So what can you do to build relationships with these influencers, relationships that will prove to be vitally important if you are to succeed at influencer marketing? You can follow them through their social media channels. You can reply to or share their social media posts. You can add value by commenting on their blogs. After you've engaged them on a regular basis for a while through these channels, you can email them (identifying yourself as an avid blog/social media follower of theirs) a piece of content you think they will enjoy and find valuable. Now here's where it can get tricky. Here's the part where you need to be persuasive. The next thing you do is send them an email talking about how you have been following them and thanking them for the great work they do. Tell them about your business and the idea you have (the one you want to implement to make use of their influence): your idea may be to have them write a guest post on your blog. It might be to give them a sample of your product free in return for a review that you have permission to post on your blog and include in your marketing materials. Your idea may be to write an article they can post on their blog. But the important thing to remember if you want your influencer sales presentation to succeed is that you need to tell them what's in it for them – how they stand to benefit – when they agree to your proposition. Tell them how your idea can help them in some key way they find important, typically increased exposure for their name and a larger audience for their content. Tell them how (and follow through) you will make this process of advocating for your brand easy for them. Offer to help them in any way you can. Just think how much of a boost your marketing could gain if you had the help of an influencer in your field. For example, let's say your company manufactured and marketed vitamins and nutritional supplements. If you gave some samples to a prominent health blogger and he agreed to give your products a glowing review on his blog read by thousands if he liked them and found them valuable, do you think this could help sales of your products skyrocket? I'm confident we can all agree that harnessing the power of influencers in our fields can benefit our businesses big-time! So by all means work to establish win-win relationships with them. But why not take it a step further? Why not work to become a sought-after influencer yourself? 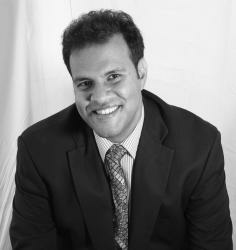 Think how you could benefit if you were viewed as a thought leader in your industry. It's said that people buy from those they “know, like and trust”. Your status as an influencer and thought leader will mean that more of your potential customers feel like they know you; they'll at least know more about you. If you produce the right kind of marketing content, you'll come to be viewed as the “likeable expert”. And people tend to trust experts they know and like. Blog – regularly produce compelling, thought-provoking content and share it on your blog. Guest post on other blogs in your niche. Also, interact with your blog followers. Respond to the comments they post. Announce new blog entries through your social media channels. This can help you gain new blog readers. Publish a book – Don't be intimidated by this one; it's not as hard as you think. You don't have to write the equivalent of “War and Peace”. Your book can be brief, even an e-book or printed booklet. And you can repurpose your existing content from your blog and other sources for material for your new book. This is one of the most powerful, yet simple ways available for you to build your status as an expert/thought leader/influencer in your niche. And a lot of things have changed since the old days; you don't have to secure the services of a large, exclusive publishing house. You can go the self-published route. Although it's beyond the scope of this article, there are plenty of online resources to help you get started. “So what does this have to do with landing pages?” you may ask. The ultimate goal of securing the help of influencers in your marketing or becoming one yourself to make more sales. You can attract new followers on social media, new subscribers to your email list, more leads in your funnel, but how does that help you if they never buy anything from you? In online marketing you have to convert. 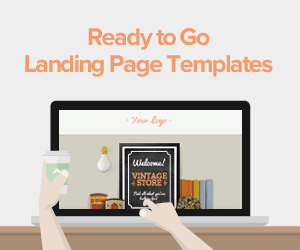 And to convert as effectively as possible, you need landing pages. 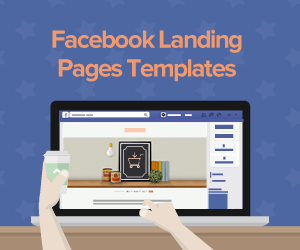 And your landing pages need to be in “tip top” condition with persuasive copywriting, clean, uncluttered graphics and design and prominent call-to-action buttons. 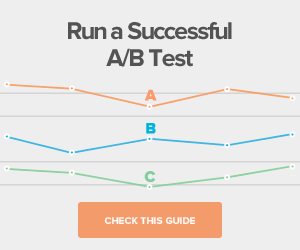 Every “piece” of your landing page “puzzle” needs to be in place. 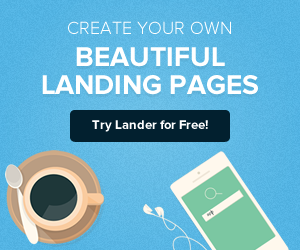 And since you've worked so hard to put together such a landing page masterpiece, why not give yourself the myriad of advantages offered to you by Lander, the easiest-to-use landing page platform in the Universe! Why Lander? Not only is Lander super-simple to launch and manage (no more pulling your hair out in frustration! ), it has been engineered to help you enjoy higher conversion rates. 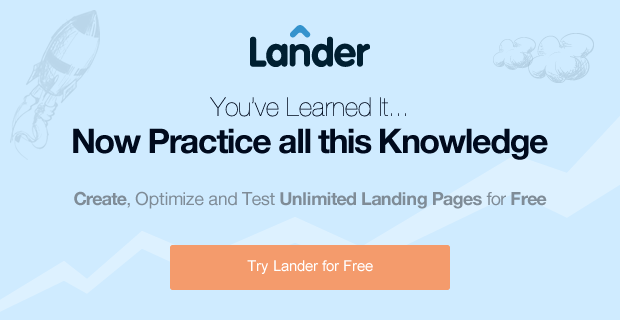 Lander gives you the capability of doing advanced A/B tests, so you can steadily improve your conversion results. And speaking of tools to help you build your status as an influencer and thought leader, few are more effective than video. And video can also help you increase your conversion rates. Lander offers you built-in video support with all of our templates. So why not give Lander a trial run today? You can do so for free and with no obligation. Contact us if you have any questions. We look forward to having you as part of the Lander family!